This verse was brought to life during our first mission trip from the USA to Ometepe Island, Nicaragua in 2009. Since then, we have focused much of our time raising a blended family of six children in the USA and working in secular jobs, while at the same time, leading a bunch of mission trips (both through our NJ-based church and subsequent personal trips). 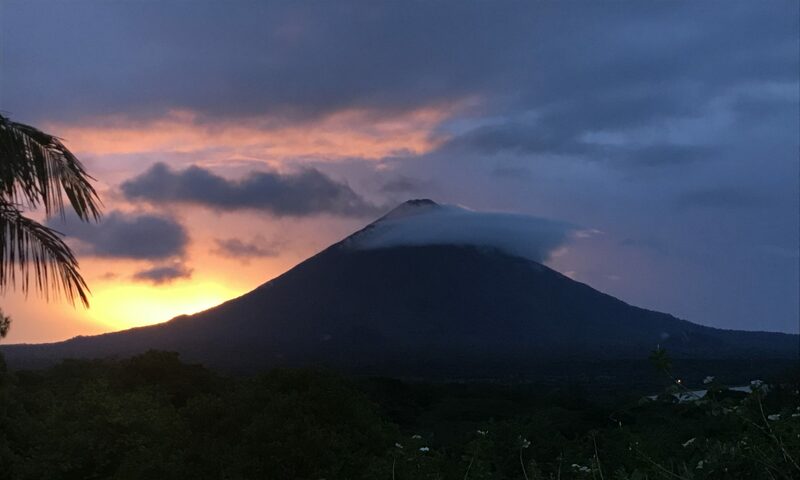 We now reside in Florida, yet still have pledged our spiritual and financial support to several families on Ometepe, through full-time, resident missionaries and the use of online resources to communicate, evaluate and monitor our progress. We have witnessed the full spectrum of joy and grief through the lives of those impacted by our commitment. These experiences have strengthened our faith in Jesus, and reinforced our calling to a permanent ministry, initially starting on a part-time basis. One Body Global Ministries is what resulted from this calling. Part of living our fullness in Christ includes constructing a permanent presence on Ometepe Island, Nicaragua on land we already own to serve the countless needs of the impoverished men, women and children in Nicaragua — and just steps away from other full-time missionaries. Plans to build a Mission House on this current property are now underway. One overwhelming need on Ometepe is for locals to learn English. While on our 2017 visit to Ometepe, we and three of our children worked in a classroom with 30+ students who were eager to listen to our voices and to learn English. This NOW is a key pillar offered by our ministry. Another immense and urgent need in Nicaragua is to provide food and medical assistance. Since the sociopolitical crisis that arose on April 18, 2018, the number of people living at the poverty level (defined as living on $2/day) has exploded and continues to grow. Our ministry provides rice, beans, oil, sugar and coffee to some of the poorest families in three local communities of Santa Cruz, Madroñal and Sintiope. Finally, our hope is that peace will be restored in this beautiful country. We plan to host small teams from around the globe at our future residence (or a mission-hosting facility nearby) to participate in classes as well as outreach, prayer and service on Ometepe. TJ and Rochelle Scott’s faith and biblical understanding comes largely from the Bible, a Catholic upbringing, the Anglican/Episcopal prayer book, and a personal relationship with Christ. For most of the past ten years, they and their six children have been active members of Christ Episcopal Church, in Woodbury NJ. In addition to their service in the mission field, TJ, Rochelle and their six children were active members of other ministries at Christ Episcopal Church Woodbury: the Men’s (Brotherhood of St. Andrew) Women’s (ECW), Sunday School and Youth Group. Over the years, Rochelle has worked for both for-profit and non-profit organizations, and with start-up companies. She now teaches multiple forms of physical yoga and movement exercise classes at studios, in schools, in libraries, and privately in Cocoa Beach, FL. TJ has been working in the medical and pharmaceutical community for approximately 30 years. They both have a solid understanding of health and wellness, and the role of faith, prayer, study, physical activity, nutrition, and medication in maintaining physical well-being. It is the combination of these things that enable us to better serve the Lord. During the next phase of their lives, they want to serve the impoverished communities, especially children in Ometepe Island, Nicaragua. They have two pieces of land on the island and are actively planning to build a mission house and, one day, a non-profit community property that would be used to provide free services to locals, while also providing yoga, wellness and fitness classes to tourists to raise funds for ongoing operations and charitable efforts. They ask for your prayers and support. TJ holds a Master of Science degree in organizational leadership and change management from the University of Pennsylvania and a Bachelor of Arts degree in communications from Rowan University. Rochelle holds a Bachelor of Science degree in Leadership from Philadelphia University. TJ and Rochelle are members of the First United Methodist Church in Cocoa Beach, FL.